Co-working start-up started from humble beginnings building small office spaces in New York, but its new , designed in collaboration with Axel Schoenert Architectes, proves that they've reached new heights. Inspired by années folles, or "the crazy years" in France during the 1920s, the space at 33 Rue La Fayette is meant to encourage a similar bohemian lifestyle characterized by artistic and intellectual collaboration, . The space certainly radiates an offbeat and creative energy; the jewel-toned color palette, velvet furniture, and brass-and-gold geometric accents are a collective ode to the Art Deco era. With a 22-foot grand atrium, a stunning glass rooftop, and gorgeous furniture from and , we'd argue that it'd be a bit difficult for a design lover to concentrate in this jaw-dropping workspace. 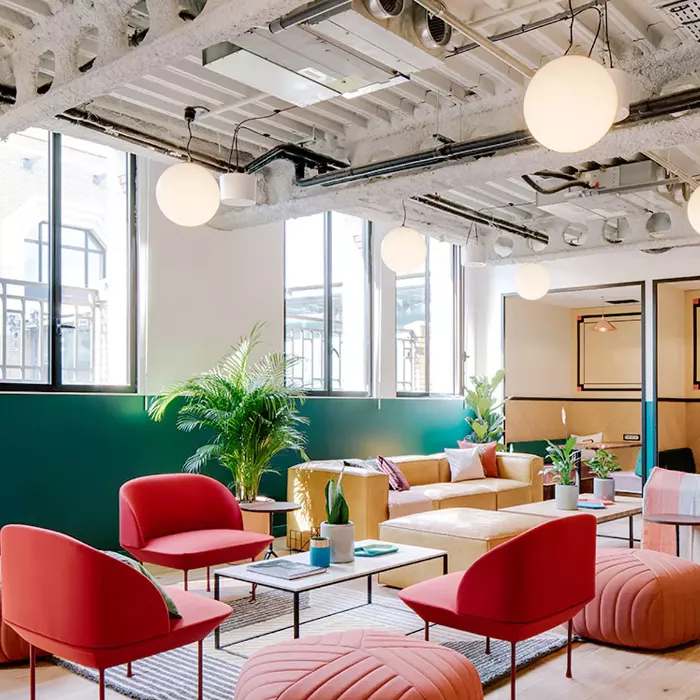 Step inside WeWork La Fayette below, and share your thoughts on the retro space in the comments! Next up: inside a Pacific Palisades home with Art Deco flair.